The night before soak the following in water (leave on the bench with a plate to cover): Bowl One - Small: Cover chia seeds with water (forms a gel) Bowl Two - Large: Combine oats, raisins, pepitas, sunflower seeds, dates and cranberries and cover with your choice of milk or water. 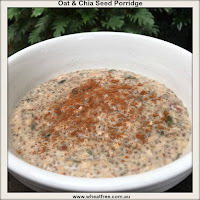 To make the Chia Seed Porridge: Add chia seed gel to blender. 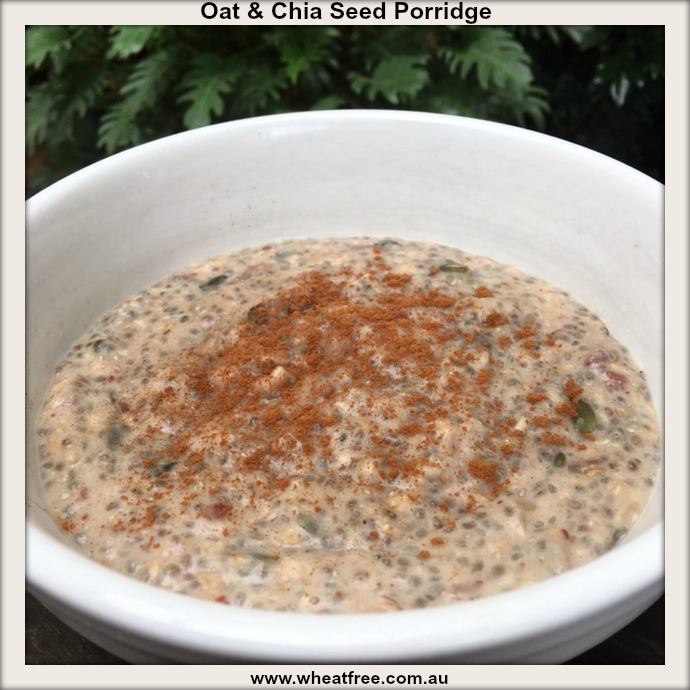 Drain and rinse the oat mixture and add about a third of the mixture to the blender with the chia, some milk, cinnamon, ginger and a small squeeze of lemon juice. Blend until smooth. You may need to do this in stages depending on the size of your blender. To Serve Spoon chia seed porridge into bowls, top with milk and some fresh blueberries, banana's, strawberries etc. Keeps in the fridge for 3-4 days.